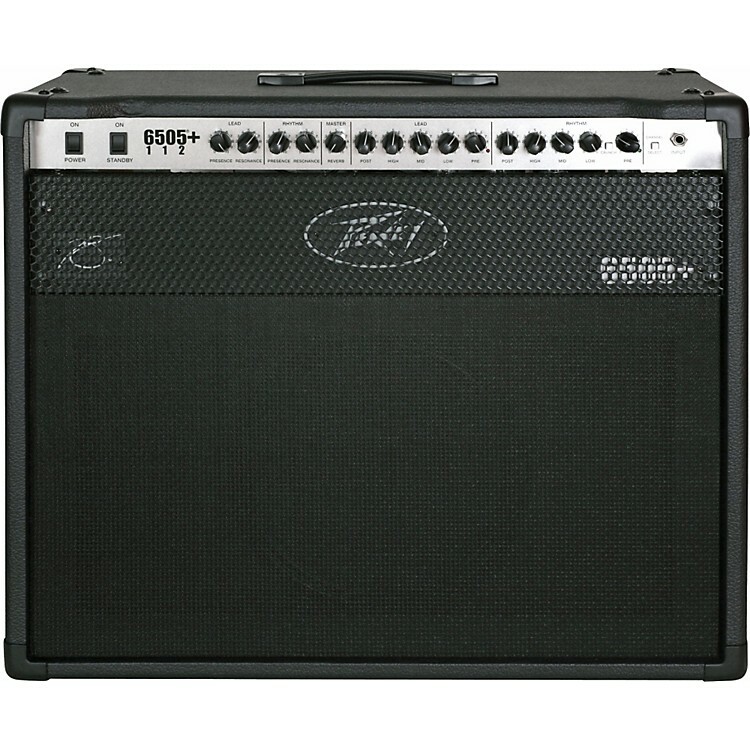 The Peavey 6505+ 112 is the combo version of the acclaimed 6505+ amplifier. This portable powerhouse features five 12AX7 preamp tubes and 2 - 6L6GC power amp tubes, with presence and resonance controls and 3-band EQ for taming their notorious tone. It also includes 3-spring Accutronix reverb and the Microphone Simulated Direct Interface (MSDI), which delivers the sound of a miked guitar cabinet in live performance and studio recording applications. The 6505 Series of guitar amplifiers celebrates of Peavey's first 40 years, 1965 to 2005. The 6505 amp is also the relaunch of the 5150 Series, the immensely popular amplifiers Peavey designed with Edward Van Halen.